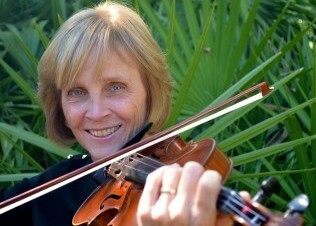 Sue Cryan is a professional classical violinist who has been teaching privately for over 30 years. She also has twelve years’ experience as a classroom music teacher in the Hartford, Connecticut public schools. Sue studied violin and earned her Bachelor’s degree in Music from Boston University, where she was a student of Roman Totenberg. She has been a member of the Portland (ME) Symphony Orchestra, the Plymouth (MA) Symphony Orchestra, and Boston Concert Opera. She is a founding member of Newbury Chamber Music, a Boston-based string trio with which she played for twenty years. She continues to work with the Connecticut-based Tree of Life trio, playing baroque and folk music. She has played on-stage with many touring artists including Ray Charles, Tony Bennett, Smokey Robinson, Dionne Warwick, Kenny Rogers, Paul Anka, Bernadette Peters, among others. She recorded Bach Dances with the Barolk Folk Ensemble. After her own children were in school, Sue became a certified public school music teacher. For twelve years she taught classroom music and strings at several elementary schools in Hartford. For the past eight years, Sue was the music and strings teacher at the Magnet Montessori School in Hartford, a public school that serves students from over twenty towns in Greater Hartford. Sue is also a weaver, and she has a Master’s degree in Oral Traditions from The Graduate Institute at Mitchell College in New London, CT.
Sue and her husband moved to St. Augustine in 2012. 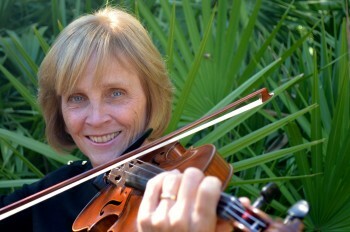 Sue has become a member of several local ensembles, including the Daytona Solisti Chamber Orchestra. In addition to playing and teaching music, Sue enjoys biking and kayaking in beautiful Florida.